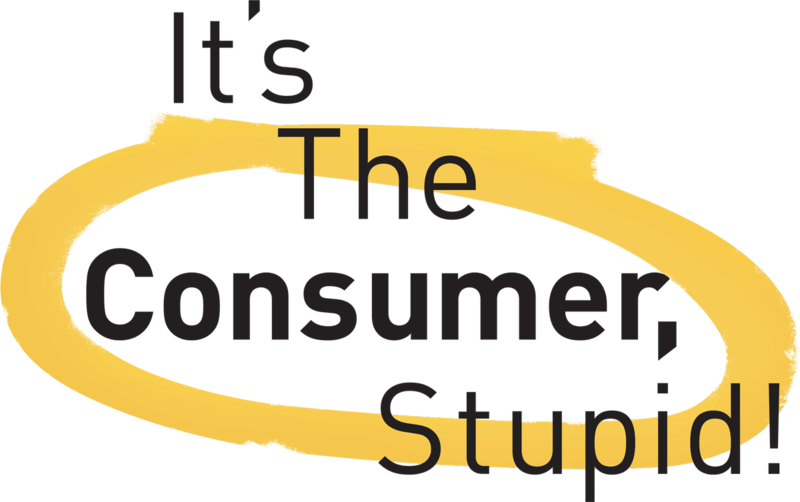 Back for its second year, It's The Consumer, Stupid! is a must attend event for anyone interested in delivering better financial solutions to their customers. With a upbeat but challenging tone Holly Mackay will chair the day exploring the present and the future with the help of industry disrupters, start-up challengers, content experts, exciting tech, Ted Talkers and financial Big Wigs. On the day we'll have live tech demos, consumer thoughts in video, consumer ratings, media, insights on Boring Money’s research and lively panel discussions. The day will feel fast-paced and be fact-packed! Boring Money is an independent business which has been set up to help normal people who don't have PhDs in finance make some smart investment decisions quickly and painlessly. The website was set up for anyone who thinks that investments are, well, just a little bit boring. Their mission is to cut through the cr@p, to explain stuff in normal language and to help everyone who has ever felt a bit alienated, patronised or simply cross-eyed and exhausted, to make some good decisions and to get those financial monkeys off your back. Through the website, social media and research consumers engage with Boring Money. And everything they learn is leveraged for our industry partners and their customers in a virtuous cycle of engagement, measurement and feedback. They help create engagement with their clients customers through fresh content, consumer focused platforms and websites and insights from research. Their clients include Legal & General, BNY Mellon, Zurich, KPMG, BlackRock, Schroders, Alliance Trust Savings, Scottish Widows, Invesco, Franklin Templeton, Aviva, JP Morgan, Vanguard, Evest and the Financial Services Consumer Panel. Read more about Boring Money here. MiP are an events and marketing agency specialising in financial services, helping some of the biggest brands in the sector communicate with clients and showcase their products thorough live events, online tools and investment marketing. Read more about MiP here. Here's what some of our attendees thought of our 2016 event. I found Boring Money's 2016 conference an engaging debate on the current issues the industry faces in trying to engage its clients. Holly always leads with intelligence, eloquence and enthusiasm, and the speakers and venue were high quality. An excellent event both from presentation and networking standpoints. I heard from and met lots of interesting people who shared some great insights. I found the day very interesting and informative. Holly looks at topical items in the personal finance world but from a different lens and this is very helpful for us as a different view, as so much of our business is intermediated and we are thus one step removed from 'joe public'. Lots of good speakers with balanced views and lively debate and the usual fun thrown in as Holly manages to disarm her speakers to get to the heart of the matter. This event compliments the vast swathe of professional events and indeed research across the industry and I would recommend it to my sales director peers. The exception to the rule. I am sorry to say that conference events that engage, inspire, educate and create the chance to meet peers across the sector, are very hard to find. The Boring Money 'It's the consumer' conference ticked all those boxes. I came away buzzing with actionable steps to take when back at ranch and several months on I am in regular contact with a handful of great people who I met at the event. And a full day thinking 'customer' is very good for the soul!. Thank you - worth every penny'. Darren Cornish, Director, Customer Experience, The Share Centre. Thank you to all at Boring Money for a great event, refreshing and inspiring. Having attended mainly adviser focused events in the past, and not many financial events for the end customer, you managed to bring these two worlds together perfectly. Holly in her straight-talking style made sure the event did not have highs and lows. Really well done, look forward to the next. Holly and her team have a real talent for pulling together the right people at the right time with the right agenda to make this a really worthwhile and relevant day. There was a great line up of speakers last year, and a really interesting variety of topics covered. The standout session for me was the 'Millennials in focus' with '@girllostinthecity' blogger, Emma Gannon. Her straight talking approach made a lot of people sit up and take notice of how we need to communicate with her age group in the future to make a difference. Dan Best's 8 myths of viral videos session was another 'inspirational' session. What's more, the venue, organisation and catering were magnificent! Well worth a day out of the office. Customer research: the facts and stats; consumer expectations and the broader tech landscape. Holly Mackay, MD, Boring Money will share the latest research and introduce the website content team for the day. Jeremy will talk us through the latest tech, gadgets and software. How will these impact on the finance industry? We'll see their latest launches and hear about the consumer insights that have driven the build and development. Financial Marketing expert James Sandberg with look at modelling the key data signals that reveal when a customer's lifestage or circumstances have changed. Data signals that help improve customer experience, retention and customer lifetime value. How might the landscape change from both a regulator, a customer and provider point of view. Holly will interview the new Pensions Minister on how he sees his new role developing and what difference he feels he would like to make. Will these new players in the market from the world of start-ups be able to change the way people approach their saving and investing. It is possible to build a business that has the customer at its centre, even in insurance. 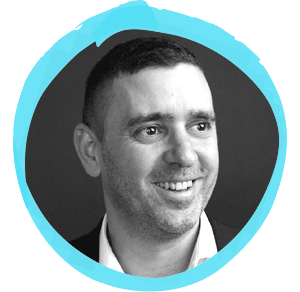 Bought By Many has pioneered an approach of building communities of individuals who have distinct insurance needs - Steven Mendel, CEO & Co-Founder, will explain how and why. Up to date knowledge of what is possible around content, how long good content takes and how much itcosts; the latest thinking from agencies on creative and product design; content marketing and video tips. David will discuss what are podcasts and how can they help your brand? A producer's view of the dramatic growth and development of downloadable audio (aka podcasts), as well as the latest impact figures, the way brands have imaginatively harnessed their power, and the likely trends in one of the fastest moving and most dynamic of new content platforms. 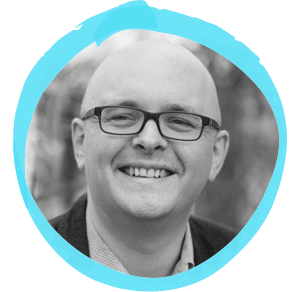 Mark, the founder and host of The Unconventionalists will breakdown the #1 mistake 99% of businesses make when it comes down to engaging with their customers and what we can do in order to stand out from the crowd in a noisy digital world. Content marketing spend in the UK is set to rise 179.2 per cent to £349 million in 2020, from £125 million in 2014, according to a report from Yahoo and Enders Analysis. This rise reflects the increasing appetite of consumers for media and stories and as such reveals a growing opportunity for publishers, advertisers and content creators alike. Our panel discuss their propositions, how to create engaging content for conversion and how to face the challenge of standing out in a cluttered space. How to crack consumer engagement; how to apply segmentation research and put this into practice. Holly will interview Helena Morrissey about her new role at LGIM and what she learnt from her time at Newton (a BNY Mellon company), what she'll be implementing at LGIM and who her core audience focus is. Seth Godin taught us that bringing together a tribe of like-minded people can start a movement and amazing things can happen. These three groups along with Boring Money believe this theory and here they discuss how they have implemented and what it has created. Holly Mackay, MD, Boring Money gives her closing thoughts on the day with a research re-cap. Our agenda is subject to change. Holly Mackay has been working in the investments space since 1998. Until 2007 she worked in both Australia and the UK, for several Global Investment Firms. In 2008, fed up of working for big financial companies, she set up a business called The Platforum, now one of the UK's most respected financial research firms. She sold the business to Centaur Media in 2011 and left the business in November 2014. Boring Money is Holly's new venture. Her aim is to help people without PhDs in finance understand the investment markets without jargon, bias or pompous gobbledygook. Holly is a regular speaker at conferences and is also a seasoned hand at chairing events and hosting panel discussions. 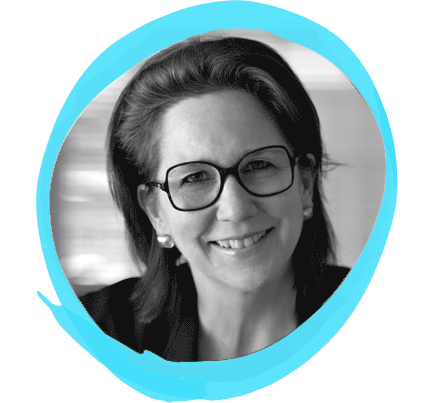 She's often asked to engage with the boards of major financial brands who are looking for advice on how to create better products and understand their customers. Holly is also Talk Radio's Business Expert for their Breakfast Show, one of the BNY and ITN Market Mavens and is a regular contributor on Sky News, BBC News, The Sunday Times, The Daily Mail, The Telegraph and The Financial Times. More information can be seen at www.hollymackay.com. Jeremy White is the Product Editor at WIRED magazine. He is responsible for the magazine's coverage of all manner of physical products, from smart-home hubs to cars, footwear to phones, drones to interior design. As well as writing and editing WIRED's coverage, Jeremy also consults directly with a wide range of businesses delivering an outside perspective on the latest developments and how products might better be designed. He looks at the very latest in intelligent industrial design and product innovation. By considering how companies create new products, where they get it wrong and right, how technology is applied well and poorly, he helps companies and individuals to understand innovative thinking, how they can adopt it, and how their lives and businesses might change. Jeremy also examines the unexpected ways new innovations are changing established markets and industries by incorporating good design, focusing on the user experience, and only using technology when it adds something. Additionally, as well as WIRED, Jeremy also writes for the Telegraph on all things gadget related and previously worked for the FT and Esquire magazine. 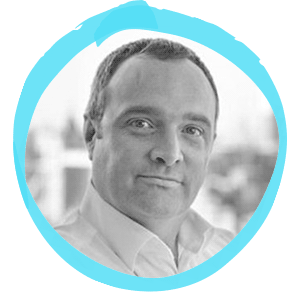 Nick Middleton is a finance professional with an in-depth understanding of the requirements of affluent private clients. He is one of two co-heads of UBS SmartWealth and uses his wide-ranging expertise to implement investment solutions that help clients meet their goals. Joining UBS in 2009 Nick initially focused managing private client relationships through the provision of discretionary and advisory investment advice. In 2011 he took on the leadership of the Affluent desk which was set up to manage the accounts for all UBS clients with invested assets of less than £1m. Nick then joined the SmartWealth team in April 2016. He started work in the City in 1996 for Henderson Crosthwaite. Through a series of mergers that firm became the investment management arm of Investec. During that 12-year period Nick managed portfolios for private clients, corporate entities and charities. Nick is a Fellow of the Chartered Institute for Securities and Investments. Before starting his professional career, Nick studied at the University of Plymouth where he graduated in Business Studies. Jane Warren is CEO of Investec Click & Invest, a new online investment management service for individuals with £10,000 or more to invest, launching later this year. Jane has held several positions across the business over the last twenty years and is leading Investec Wealth & Investment's digital innovation strategy forward. 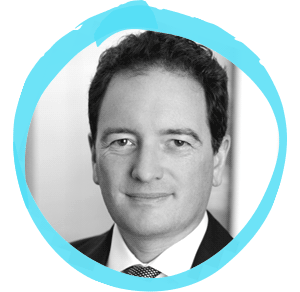 Steven has over 25 years' deep and diverse experience in the financial services industry - as a qualified actuary at AON, as a strategy consultant at McKinsey, and as a business leader at Barclays Wealth and Close Brothers. Driven by a desire to change financial services for the better, he has previously set up an art finance business for Christie's, and founded an investment consultancy to make asset-based advice available to all pension funds. Steven founded Bought By Many (www.boughtbymany.com) to shift the balance of power in insurance. He feels strongly that the insurance industry treats corporates better than individuals, and that it's time for that to change. He is disrupting the world of insurance, through the innovative use of search and social media. Mark is the founder and host of The Unconventionalists, a weekly podcast and web TV show covering entrepreneurship, leadership, courage and vulnerability. He is the author of "It's Not You, It's Me" and has spent the last four years as Country Manager for the Movember Foundation, where he launched and grew the annual campaign across four European countries, raising more than €2.8million for men's health and inspiring 110,000 fundraisers to sign up at Movember.com. 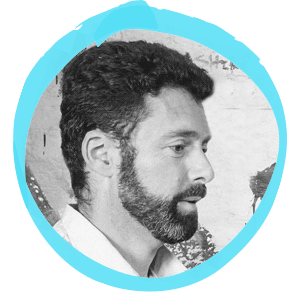 Over the years Mark has launched several startups, including Mister-Tailor and Heaven Shakes and his work has been featured in The Wall Street Journal, The Guardian, Shortlist, The Sunday Telegraph, 20Minutes and Canal+. As an ICF-accredited professional coach with a business background, today, Mark helps organisations such as L'Oreal, INSEAD, Intuit, Oxford Business School, General Assembly and The Clore Social Leadership Programme have a bigger impact by providing one-to-one coaching, leading in person training programmes, delivering talks and workshop. He holds a BSc (Hon) in Business and European Management from the University of Kent and is a Co-Active Leadership Graduate, through The Coaches Training Institute, San Rafael, CA, USA. Anthony Thomson is the founder and chairman of Atom Bank, founder and chairman of the Financial Services Forum, Chairman of the National Skills Academy for Financial Services, and NED of agilti, a company providing banking software as a service. Atom was granted it's banking licence in June 2015. It launched in March 2016, as the first real alternative to the High Street banks. It is the first full service retail and business bank delivered via an app offering savings, business loans and mortgages, with further products and services to launch during 2017. Previously Anthony was founder of Metro Bank and served as the first chairman from 2009 until 2012, before leaving the bank in December 2012. In 2015 the Evening Standard named him as 'one of the 1000 most influential Londoners'. 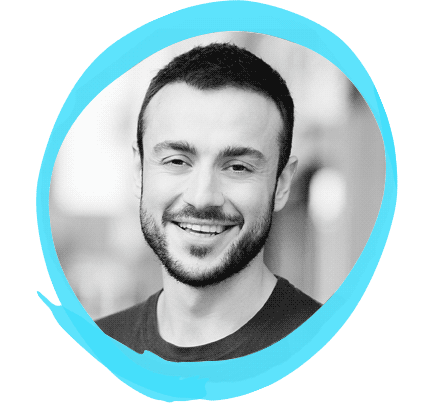 Emanuel is co-founder and Chairman of Squirrel, a budgeting and savings account controlled via an App. Previous to Squirrel, Emanuel set up an IT services company, which he grew to over 300 employees and £8m turnover, before successfully exiting in 2013. Having personally experienced the damaging effects of payday lending during a period of financial hardship, Emanuel pledged to make his next venture one that would help end the payday loan market. He founded Squirrel in 2014 and received government funding through the Innovate UK and Wayra social innovation programmes. The product has since won numerous awards, most recently beating RBS/Natwest to become Best Regular Savings Product in the FairBanking Foundation 2017 review. Mark Alexander Bogard MA, born 1962, joined the Board of Family Building Society in 2012 as Chief Executive. He has over 20 years' experience in financial services focused on helping people make the most of their money. He ran Barclays' retail funds business and then built up Moneyextra, an aggregator website focused on mortgages and savings that was sold to Bristol & West Plc. Upon its acquisition the business was merged with Chase de Vere and Willis National, two leading IFAs, and Mark was appointed as Managing Director. 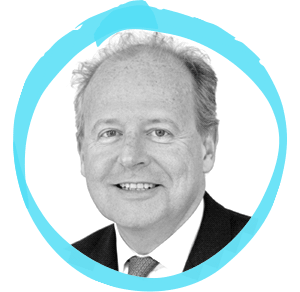 From 2004 until 2012, Mark was UK Chief Executive of IFG Group plc, responsible for James Hay, the leading SIPP provider, and Saunderson House, an hourly rate financial advisory business. He has an MA from Cambridge University and completed his articles with Slaughter and May before joining Schroders to work in corporate finance. In January 2013 he was appointed as a non-executive Director of Alexander Hall, the leading mortgage broker, whose board meetings he now chairs, which helps him to understand the perspective of the Society’s principal channel for distributing mortgages. David Prest is the Managing Director of Whistledown, one of the UK's leading radio production companies and podcaster producers. David is a former BBC producer, and founded the company in 1998. Credits include BBC Radio 4's The Reunion and Feedback, NPR's This American Life and My Perfect Country for BBC World Service, as well as podcasts and associated digital content for Glyndebourne Opera, The Open University, brands like Mint Velvet and The Economist and BBC podcasts Seriously, Comedy of the Week & Tomorrow's World. George Bevis is the CEO at Tide, the mobile-first business banking service; a business he founded in February 2015. Tide launched in January 2017 after raising more than $2m in funding in 2016 from VCs including Passion Capital, Anthemis and Local Globe. Prior to founding Tide, George, an experienced entrepreneur and former banker, previously worked in banking at Capital One, Royal Bank of Scotland and Barclaycard. George joined Capital One in 2002 as a Business Analyst at Capital One before moving to RBS in 2005 where he became a Manager of Strategy and Planning before becoming Head of Innovation. After leaving RBS, George went on to found SpeedSell.com in 2007 and joined Barclaycard in 2012 where he held positions of Director of Business Strategy, Director of Global Digital Product and finally Director of Wearables Strategy. After leaving Barclaycard George went on to become a Director of Product at Zopa before founding Groovey Bananas, an internet incubator where he stayed for over three years until he founded Tide. Helena started her career in New York with Schroder Capital Management. 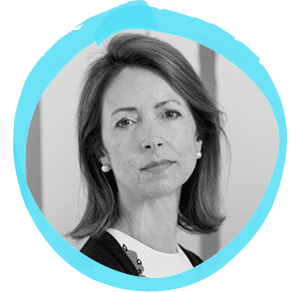 After returning to London she joined Newton in 1994 as a junior fund manager and was appointed CEO in 2001. During her fifteen years leading the firm, assets under management grew from £20 billion to over £50 billion. In 2010, Helena founded the 30% Club, a cross-business initiative to achieve better gender-balanced UK company boards through men and women working together on voluntary actions. These efforts now span the whole career journey from schoolroom to boardroom and the proportion of female directors on UK listed company boards has more than doubled. The 30% Club approach has been adopted internationally, including in the US, Hong Kong, Ireland, Italy, South Africa, Australia, Canada, Malaysia and the Gulf Co-Operation Countries. Helena also chairs Business in the Community's gender equality campaign, part of the Prince of Wales' Responsible Business network. Helena has been named one of Fortune Magazine's World's 50 Greatest Leaders. She has twice been voted one of the 50 Most Influential People in Finance globally by Bloomberg Markets. Helena is a Fellow of London Business School and was awarded an Honorary Doctorate by Cambridge University in 2016. She was made a Dame in the Queen's 2017 Birthday Honours list for her contribution to diversity. Helena is married to a Buddhist meditation teacher and they have nine children, six girls and three boys whose ages range from 8 to 25. David has a background in trading, creative solutions, sponsorship and strategic partnerships. In the last 16 years David has worked closely with editorial, commercial and marketing teams at national newspapers to develop ideas and integrated partnerships, brand-led content and multi-media sponsorships on both print pages and their associated digital and mobile platforms. 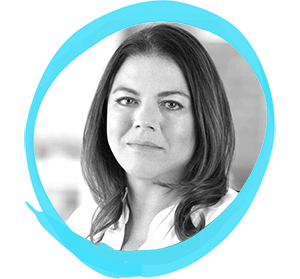 Evelina Jarbin, Head of Brand Sales & Development, leads brand partnerships for Outbrain, the world’s premium discovery platform. 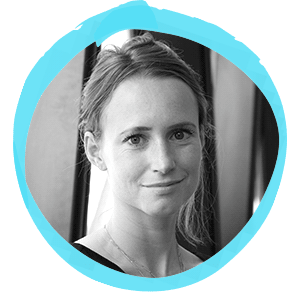 Originally from Sweden, Evelina has experience working in digital marketing across Europe. For the last 5 years she has been at Outbrain in London, working closely with a wide range of brands running native content marketing campaigns. 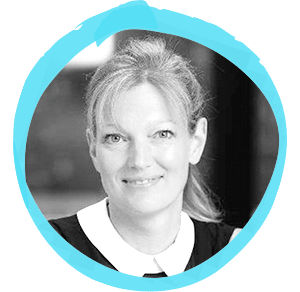 With a keen interest in advertising and what makes consumers tick, Evelina has been front and center for the content marketing revolution, influencing the kind of strategies being executed by leading financial institutions in the UK and globally, and advocating for a "consumer first" rather than "bank first" approach. Alex is the former payments lead at Tictail. 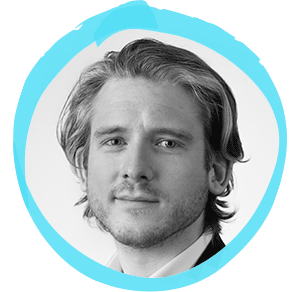 He joined Tictail as engineer #5, built the platform and team that handled payment processing for 150,000 shops and watched the company grow to 60 people with offices in Stockholm and NYC. Prior to Tictail, he built software for retail data analytics, social networks, sports and Bloomberg. He is also the co-founder of Hack Cyprus, a tech movement in Cyprus which runs hackathons and coding schools for youngsters who want to learn how to code. He has an MEng in Computing from Imperial College London. Educated at John Hopkins University and American University in Cairo, Heidi started her career at Bear Stearns in the emerging markets group, specialising in mergers & acquisitions. A passion of Heidi’s is her love of Russian and British art. She supported the outreach and educational work of the Tretyakov Gallery and was a founding member of AIDS in the Workplace, a group established to help companies in Russia educate management and provide support to people with AIDS. 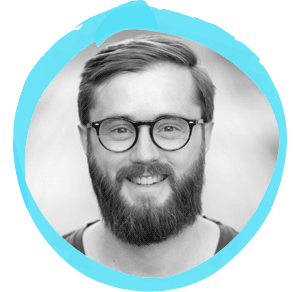 James is the founder of Customer Devoted, a customer success consultancy focused on digital performance optimisation, customer profitability and customer experience innovation for consumer and institutional financial services brands. 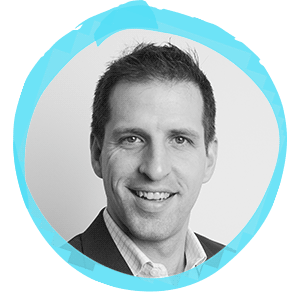 With expertise across performance marketing, customer experience, CRM and customer loyalty, James is obsessed with helping companies achieve their customer based business objectives. 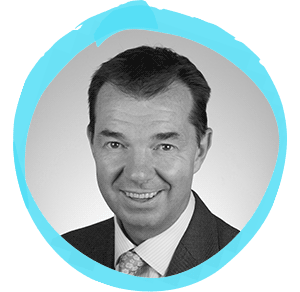 Guy Opperman was appointed as Parliamentary Under-Secretary of State at the Department for Work and Pensions on 14 June 2017. Guy was educated at Harrow School, he went on to read law at the University of Buckingham. He also gained a first class diploma from the University of Lille. Guy previously served as Private Parliamentary Secretary to Mark Harper, the then Immigration Minister. He served as an Assistant Government Whip from May 2015 until July 2016. Guy was called to the bar in 1989. He spent 20 years as a barrister and was also Director of his family¹s engineering business until 2009. Since joining Mindshare in 2014, Stephen has led a number of key accounts including HSBC, Blackrock and the Dept. for Business, Innovation and Skills. 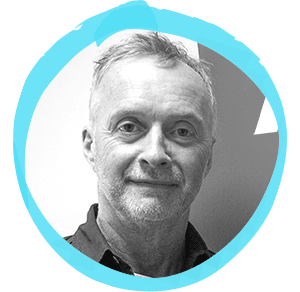 An experienced media planner with a strong background in business and financial services, Stephen specialises in delivering meaningful cut-through in advertising campaigns. Over the course of his career, he has successfully established and executed a number of content partnerships across Europe and the UK from both a paid, owned and earned perspective. 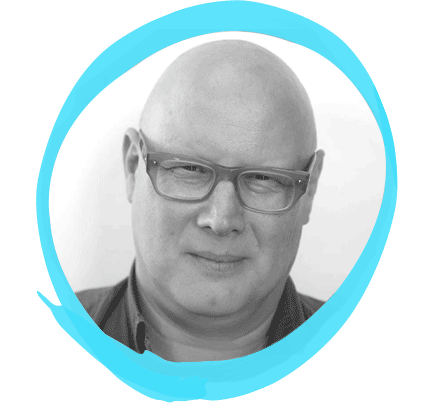 He is an expert at building, measuring and adjusting metrics in order to create effective media campaigns. 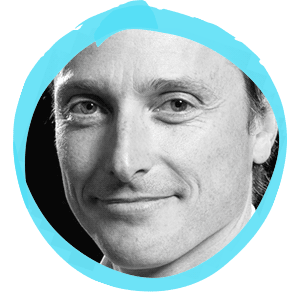 Prior to joining Mindshare, Stephen spent time on both agency and publisher side, more recently having worked at Ptarmigan media for 3 years managing global and local campaigns for key brands like Standard Life. Ryan Barrows is the Head of Personal Investing, Europe for Vanguard. Ryan leads the team that, earlier this year, launched Vanguard¹s direct investing service in the UK. Before moving to London, he worked in the Corporate Strategy Group at Vanguard¹s headquarters in Pennsylvania. Prior to Vanguard, Ryan was a consultant at Bain & Company in San Francisco, Chicago, and Stockholm. Ryan has a BA in Economics from Yale University and an MBA from the Kellogg School of Management at Northwestern University. Thank you for registering for It's the Consumer, Stupid! Sorry, there was an error with your registration. Please try again or email ITCS@mipagency.com if the problem continues. In these conditions, the 'Event' means the It's The Consumer, Stupid! event taking place on 14th September 2017 at Banking Hall, London. The term 'Company' means Marketing in Partnership Ltd and/or Boring Money and the term 'Delegate' means the party who places an order for a space(s) at the Event. By registering for and/or attending the Event, the Delegate or representative(s) of the Delegate are bound by, and comply with these Terms and Conditions. It is the individual’s responsibility to read and understand these Terms and Conditions. On completion of the booking form, the the Delegate or representative(s) of the Delegate will receive automatic confirmation from the Company. In order to attend the Event, participants must pay in full or have paid in full on their behalf the relevant fee before the date of the Event. If payment is not received within this required time limits, the Company reserves the right to cancel the booking without notice. Substitution/s can be made for the Delegate booking at any time. Termination or cancellation of by the Delegate or his/her organisation must be delivered in writing to the Company. The following cancellation terms will apply: Up to 12 weeks prior to event: 50% of original fee due, up to 6 weeks prior to event: 75% of original fee due, up to 4 weeks prior to event: 100% of original fee due. In the event that the fee has not been paid, the cancellation charge will be invoiced to the Delegate. The Delegate's package includes access to the full conference agenda, presentation content and catering including teas and coffees, lunch and networking drinks after the event. The Company reserves the right to alter the timings, agenda content or speakers at any time. The Company, its employees or agents shall not be responsible for any loss, theft or damage to the property of the Delegate, his/her employees or representatives. If it appears to the Company that the Delegate, or representative(s) of the Delegate, may be engaged in any activities which are seen as against the best interests of the Event, or which appear to be unlawful or unethical, the Company reserves the right to exclude the Delegate, or representative(s) of the Delegate from the event. The Delegate will be liable for any costs or liabilities arising thereby, save where the Delegate establishes negligence or bad faith by the Company. The Company will not be liable for any direct, indirect or consequential loss of any kind resulting from an exclusion of this nature. The Company, its employees or agents shall not accept liability for any transport or travel disruption or individual transport delays, and in this case, the normal cancellation restrictions apply. The Company, its agents and employees will not be liable for any injury to the Delegate, or representative(s) of the Delegate during the term of this Event from any cause whatsoever by reason of the use or occupancy of the venue by the Delegate, his/her employees or representatives. The Delegate shall hold the Company harmless and indemnify it in respect of all or any liability, loss, cost or expenses which might ensue from any cause whatsoever relating to the Event and the Delegate's participation in it except where incurred or sustained by the Company as a result of any damage or injury caused by the negligence of the Company or by the official contractors appointed by the Company. In the event of fire, flood or without limit other causes that the Company reasonably believes to be substantial or that are beyond the Company's control, the Company reserves the right to change the times, dates and the venues of the Event, without incurring any liability to the participant. In the event that the Company decides to re-site the Event to another venue and/or change the Event date for reasons other than already stated herein before, this agreement will still apply. The Company shall not be liable for any direct or indirect or consequential loss of any sort however so arising by reason of such change or changes. Nothing in these Terms and Conditions excludes the Company's liability for death, personal injury or fraudulent misrepresentation. Failure by the Company to insist upon strict performance by the Delegate of any of these Terms and Conditions shall not operate as a waiver or otherwise release or in any way affect the liability of the Delegate under these Terms and Conditions. The views expressed by any speaker at the Event are representative of the speaker’s own opinions and cannot in any way be attributed to the Company. The Company disclaims any liability for views expressed by any speaker at the Event. Where tickets/admission documents for the Event are posted to the Delegate, the risk in the goods shall pass to the Delegate upon the items being posted to the address given by the Delegate. These Terms and Conditions shall be governed and construed in accordance with the laws of England and the Company and Delegate hereby agree to submit to the exclusive jurisdiction of the English Courts regarding matters in relation to these Terms and Conditions.